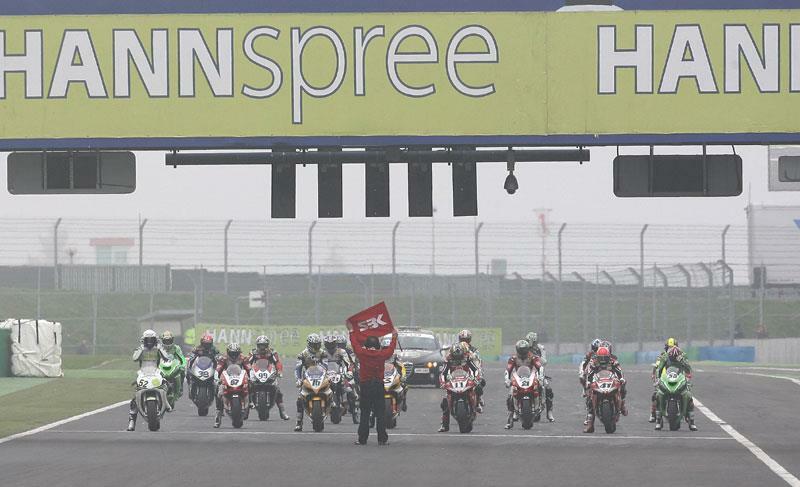 The 2008 WSB entry list has been announced with 28 permant riders confirmed in this years 15 round championship. WSB regulars will be joined by MotoGP men Carlos Checa and Makoto Tamada with BSB champions Ryuichi Kiyonari and Gregorio Lavilla also coming into the mix. Honda will field the most bikes with a total of nine riders set to campaign the all new CBR1000RR Fireblade, whilst there will be a total of six new Ducati 1098 F08's on the grid. In Supersport there is an impressive 36 permannt riders including five Brits, Craig Jones, Jonathan Rea, Chris Walker, Tommmy Hill and Graeme Gowland. In Superstock 1000 it's a monster 42 strong provisional grid with three Brits Barry Burrell, Matt Bond and Peter Hickman. Click next to see the Supersport entry list.